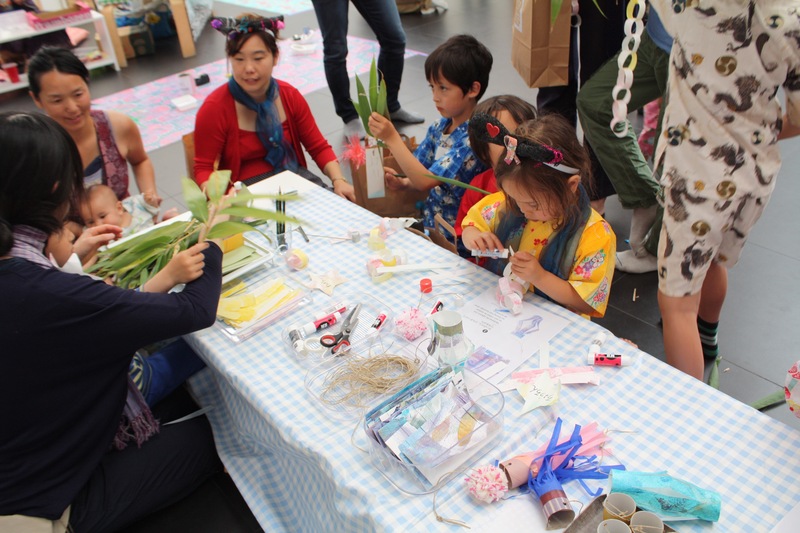 Flatto81 joined the 4th edition of Tanabata-kai “Star Festival” in Amsterdam, organized by Kyoko KInder Kunst Klas. 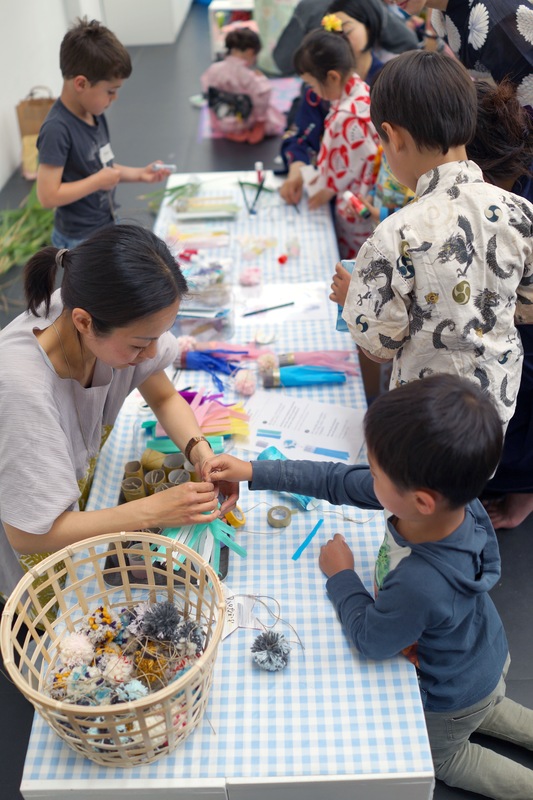 We hosted “Tanabata Ornaments” making workshop and “Summer Constellations” making workshop this year. 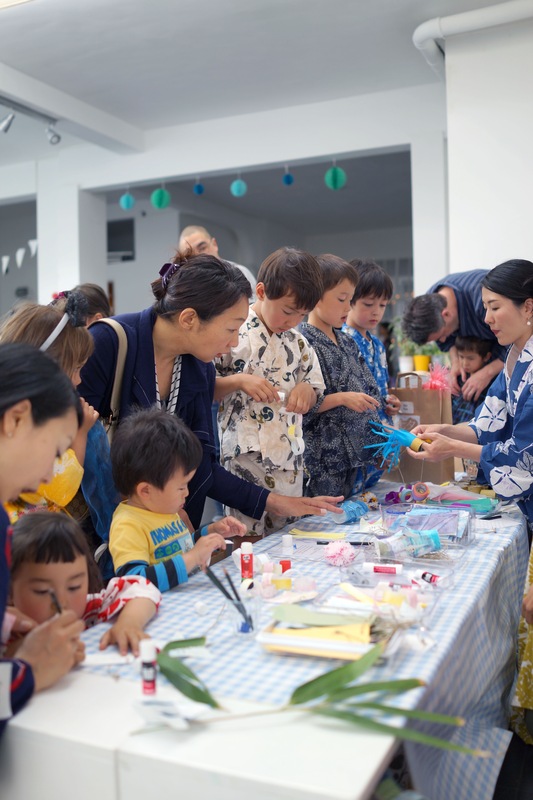 It was a fun and creative afternoon with colorful crafts which caught the immediate attention from the children run by KyokoKinderKunstKlas, Yumika’s beautiful glittering, shimmering crafts and last but not least the short play of the Tanabata story played by Wonderkids. 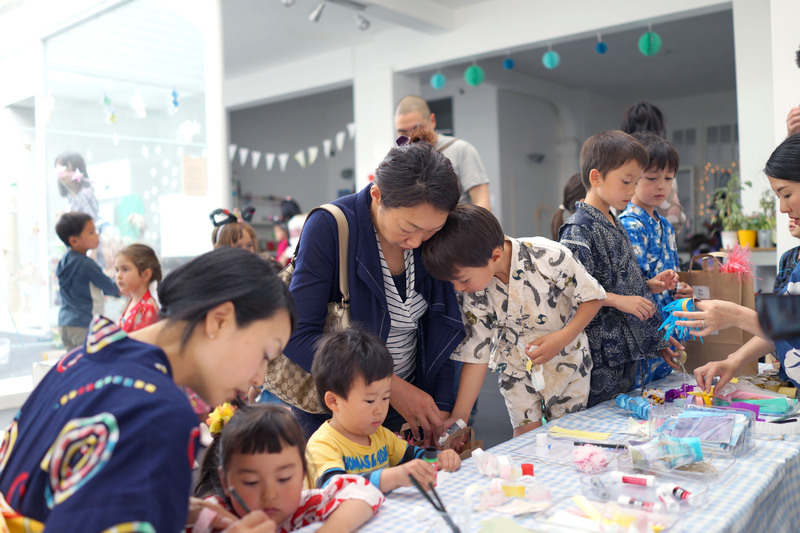 In our “Tanabata Ornaments” making workshop, we created Fukinagashi (streamers), Tanzaku, Lantern and a Garland. 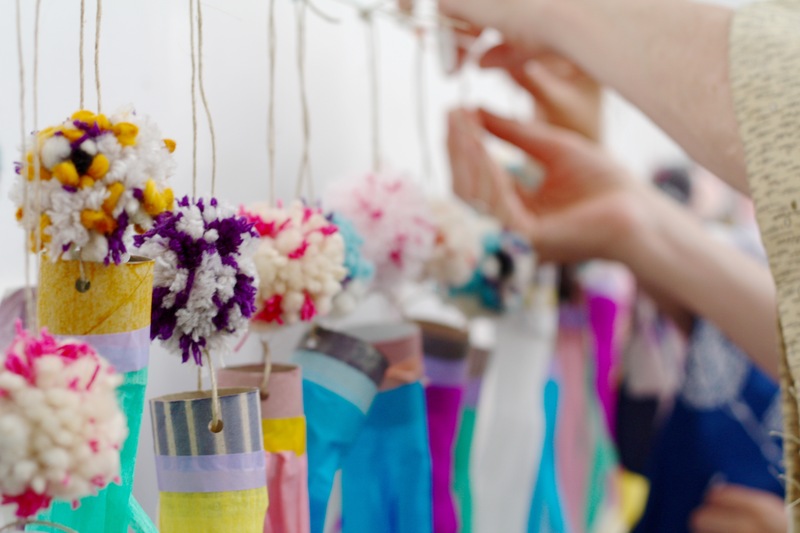 We used different materials that you can find in your house such as yarns, toilet paper rolls and jute ropes. 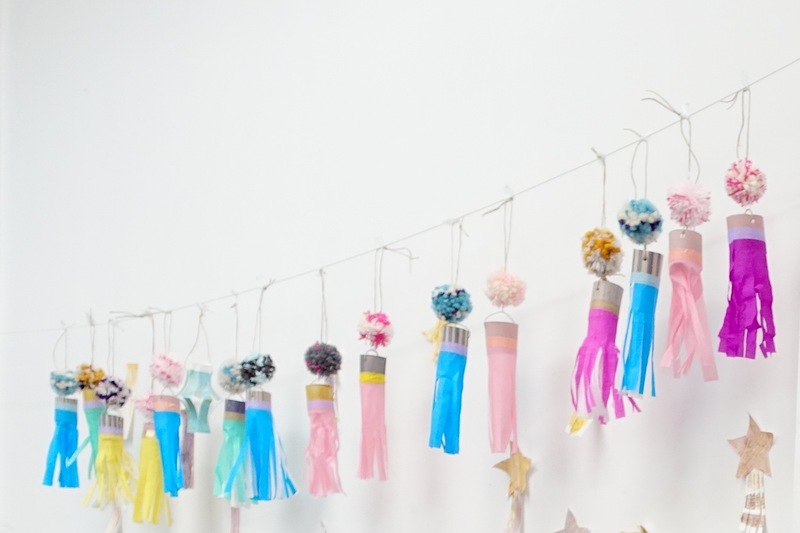 The most popular ornament was our original Tanabata Fukinagashi (streamers). 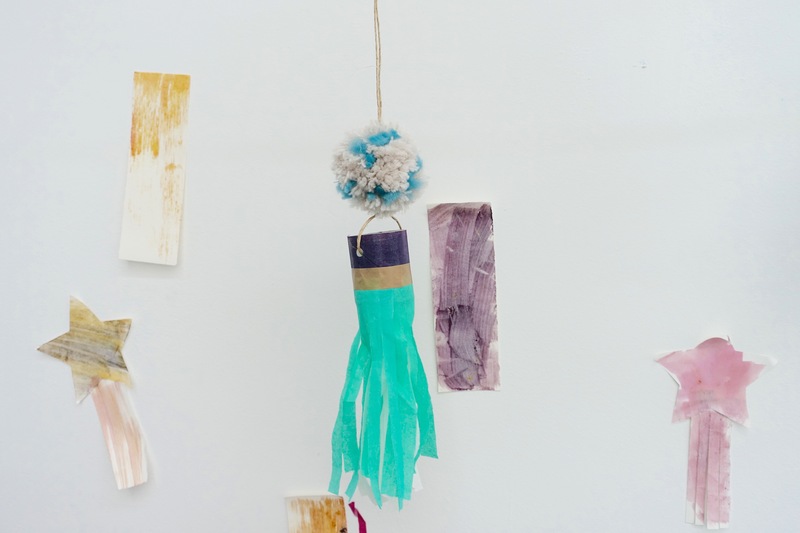 The foundation part of this streamer was colored with Curcuma ink, Red Beet juice and Blueberry juice. 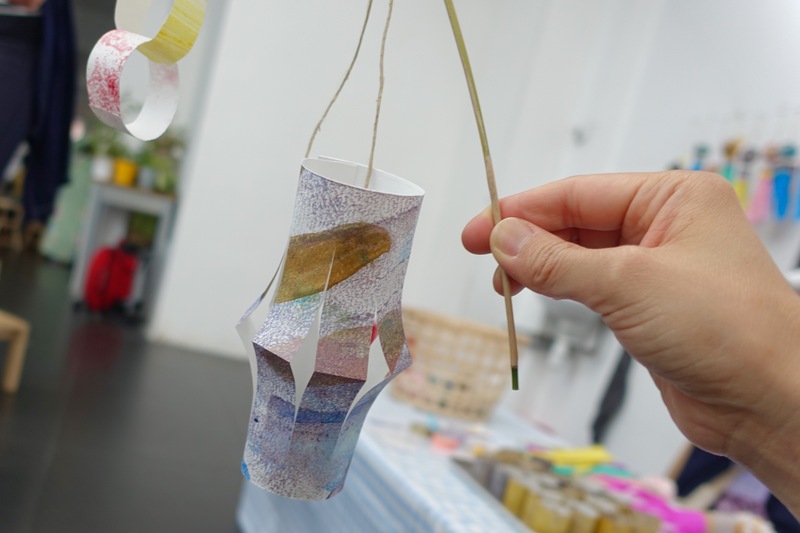 We also made our own origami paper colored with natural handmade inks from Atelier Chika Ito, which the children folded into a lantern. 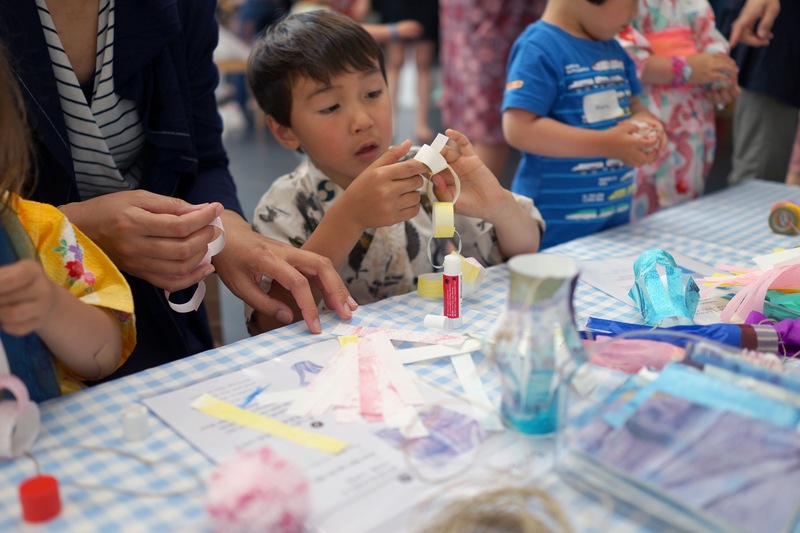 We will write about the “Summer Constellations” making workshop on our next post. Please take a look at the below links for more images of Tanabatakai Amsterdam 2015. 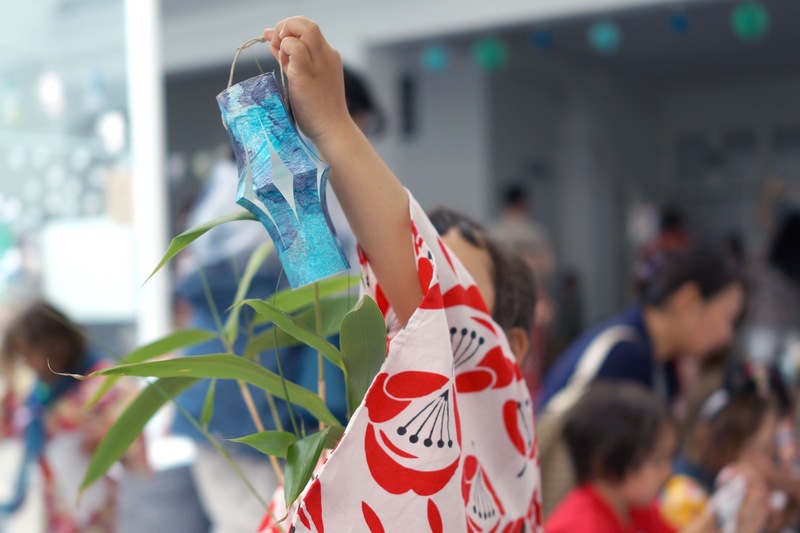 We are very happy to be able to take part in such a beautiful Tanabata event again this year. We’d like to thank the organizer, collaborators and all the inter(national) participants for joining the fun!